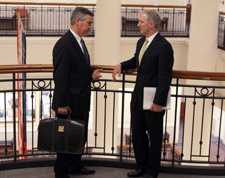 Todd & Weld secured verdicts and settlements in excess of $1 Million in four cases in 2006. Lisa G. Arrowood, Raymond P. Ausrotas, and Nicholas B. Carter won a $2.62M verdict on behalf of an autistic child who had been physically abused at the Boston Higashi School, a private school for autistic children in Massachusetts. Christopher R. O'Hara and Edward F. Foye won a $1.77M jury verdict ($2.45M with pre-judgment interest) on behalf of an ophthalmology practice consulting firm and its principals. 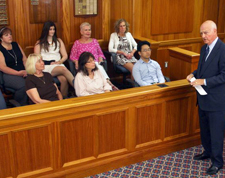 Charles M. Waters won a $1.7M verdict ($2.5M with interest) in a legal malpractice action in which the Defendant attorney actively misrepresented the status of the underlying case to his client for nine years, and which caused the Plaintiff severe physical and emotional distress. Lisa G. Arrowood and Jeffrey N. Catalano obtained an $8.4 Million settlement in a lawsuit arising out of the deaths of several tenants who were trapped in a burning office building in Newton, Massachusetts.